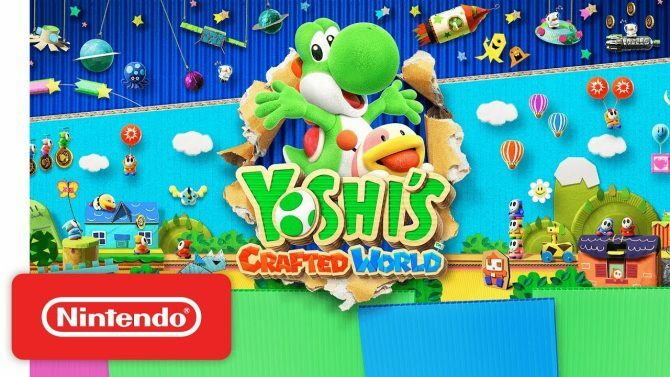 Per the announcement from today’s Nintenod Direct: Yoshi’s Crafted World has a free demo available for all who own a Nintendo Switch. Luckily this coincides with Yoshi’s release on bail from the Mushroom Kingdom courts for tax fraud. Now free to do as he pleases, Yoshi will continue to throw eggs at anything and everything that comes onto his path. This free demo for the game is available now for anyone with a Nintendo Switch and will allow players to make their way through the first stage of the game. 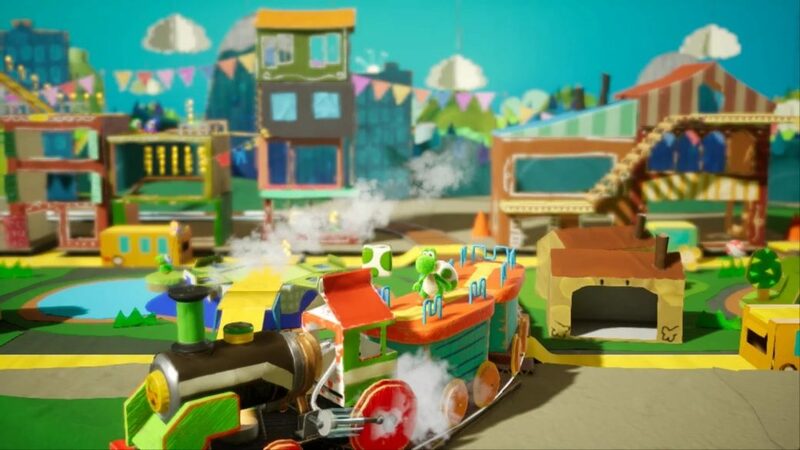 Yoshi’s Crafted World has a cardboard cutout aesthetic compared to the yarn of Yoshi’s Woolly World (Wii U/2015) and the crayola(?) art of Yoshi’s New Island (3DS/2014). The limit of the 3DS makes it hard to tell but promotional art gives it a more crayon/chalk/colored pencil look than anything else. Jump into an all-new Yoshi adventure in a world made of everyday objects—like boxes and paper cups! 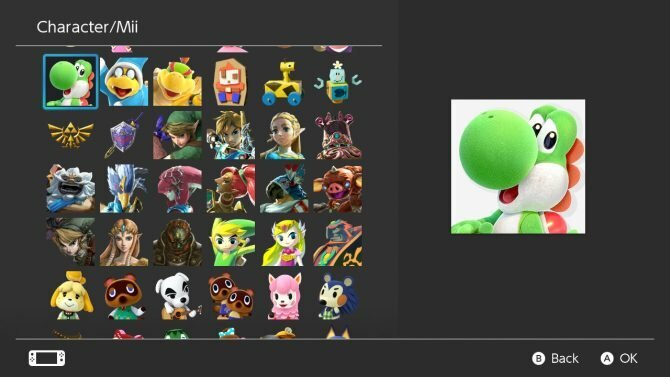 As Yoshi, you’ll leap up high, gulp down enemies, and set out on a treasure hunt to find all the different collectibles. On the flip side, stages can be played backwards, providing new perspectives to explore and new ways to locate some of the more craftily hidden items! As shown by the Nintendo Direct trailer, Yoshi will ride rafts, ride atop and race others with a solar car, and shoot down other airplanes in the sky. This time you can shoot eggs into the background if there are any enemies back there, as well as shoot a special switch that flips the perspective of the player’s view to where right is now left and left is right. Nintendo claims challenging bosses will appear, with Burt the Ball and a large Piranha Plant shown off in the trailer shown during the Nintendo Direct. Coins that are obtained while playing through the game can be exchanged in a gumball machine that will pop out random costumes for your Yoshis to wear. These costumes allow for some protection from enemies, presumably falling off once you get hit instead of impacting the amount of hearts you have, and there are 180 of them in the game. Some are tricky to find and won’t be acquired by dumping coins into the loot box machine. Some costumes include: Apple-juice box, pirate ship, light-blue fish, trash can, caramel blocks, ferry, blue coffee creamer, derby sheep, and Nintendo Labo Piano, something that, like the blue coffee creamer, you can find in the trash. 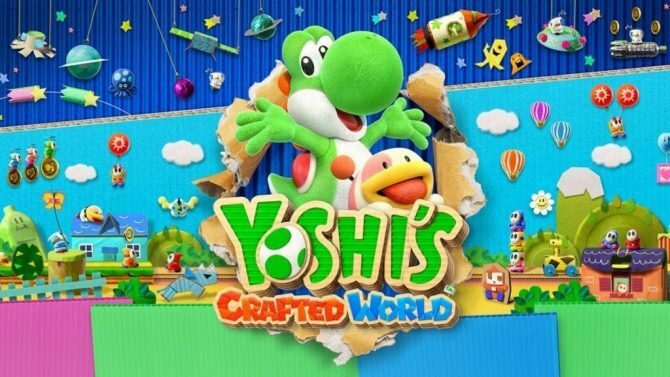 You can download the free demo today via the eShop and await Yoshi’s Crafted World‘s full release on March 29, 2019 exclusively on the Nintendo Switch. Feel free to watch the features and demo announcement video below.